In 2017, I drove and reviewed 38 cars and light trucks. The majority tested were high efficiency, low emissions, gasoline engine powered -- a handful of premium hybrid SUVs, 2 hybrid gasoline/electric sedans, one hybrid supercar, and 3 battery electric sedan and hatchback variants -- all, good cars. And yet, electrified cars and light trucks compile less than 2% of the new car market, with the majority of electric being gasoline/electric hybrid. For several financial market impacting reasons, gasoline/electric hybrid propulsion is the least path of resistance in the automotive industry. It’s also the broadest application electric propulsion technology available today. What's in store for Honda Insight? Take a look around you: From city transit buses to airport shuttles, heavy trucks, premium SUVs and luxury cars, hybrid electric takes the lead in applied auto-electrification with several application advantages -- the manufacturing integration of I.C. shared auto components, and readily available fuels being two of them. While BEV (battery electric vehicle) proponents bash Mazda, Toyota, and other international auto brands for not jumping into the heavily subsidized BEV market, makers look to petroleum-tied alternatives on the road to lower emission standards. CNG, gasoline, diesel fuel, all can be applied to hybrid electric. When we leave big oil and gasoline distribution in the picture, resistance to emerging, electrified automobile technology, transforms into oil/auto industry cooperation. 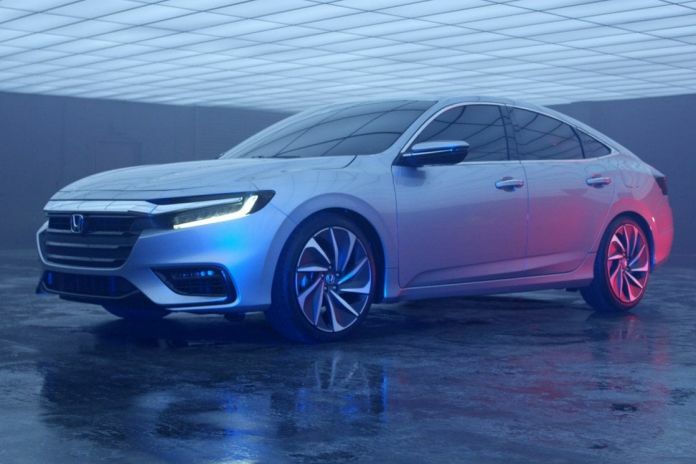 The largest gasoline engine manufacturer in the world, Honda of Japan, takes a logical future-forward approach to electrification with an ever watchful eye on consumer trends, and the ebb and flow of government regulation. In Honda’s latest foray into mainstream electric, the long in coming 3rd generation Clarity world platform sedan, presents 3 variants, all electric in motivation, with three methods of achieving low to no vehicle emissions, while enabling a very unique, and dynamic, no-transmission drive experience. As with Korean automaker Hyundai’s exceptional Ionic trio, Honda embraces gasoline/electric hybrid as a way to a means. Clarity PHEV will be a successful EV seller for Honda, as indicated by the sales numbers in December 2017. The electric evolution of personal transportation is mega-business. As consumers embrace “green,” Detroit's Big 3, and international auto Giants such as Daimler Mercedes Benz, V.W., and others, present tech-rich, near autonomous rolling computers, all, electrified. As consumers ween off of the historic dance of gasoline-fill-up auto ownership, and the sound and feel of a conventionally powered and gear shifted personal automobile or light truck, it will be the extended-electric-only-range PHEV, ( plug-in-electric-hybrid) car or light truck that will build public confidence and acceptance of the electric car. The handwriting is on the wall as every major and minor automobile manufacturer in North America and beyond, rolls out innovative electrified cars, crossovers, and SUVs. Lower MSRP * Average battery electric vehicle before federal and state tax credit. Less reliance on battery module. * Smaller cell, lower MSRP. Noo reliance on P.U.C.. *Look, Mom, no plug. “Greater combined horsepower and torque” advantage with hybrid gasoline/electric automotive integration? The horsepower and torque of a Tesla is unmatched by ICE or hybrid propulsion vehicles. There are countless videos online of drag races with ICE vehicles that verify this fact. Read the article Cybear. I'm not taking anything away from Tesla. However, with 17,000.000 new cars and trucks sold in 2017, Tesla and battery electric is a very small part of the overall picture. I can back my opinion with market-trend statistics. Cheers! you mean Teslas are unmatched going in a straight line 0-100mph only? yea...…. you left out some critical details there.... ICE cars leave Teslas behind after the 1/4 mile is over.... Just the TRUTH. Plus Teslas are ridiculously heavy, so anything other than a straight line and you're probably sliding off the road....if it wernt for electronic stability and traction controls. Then it will probably just force you to slow down, either way, you're getting left behind.